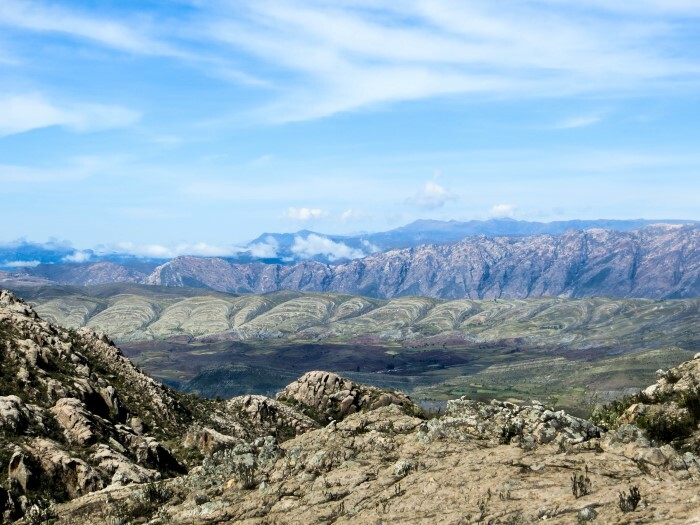 One of the activities that had been top of my list since arriving in Bolivia was hiking to the Maragua Crater, a strange rock formation a short distance from the capital and one of the most adventurous trips to take from Sucre. The crater epitomises why Bolivia is one of the most visually stunning countries that I’ve ever visited: fields of wheat and corn appear in patches across the central ground of the crater, while the surrounding hills seem to roll and swirl – all thanks to the powerful forces of tectonic activity which have shaped the landscape over millennia. Beyond this example of nature at its most splendid, this region of Bolivia has ancient 2,000-year-old cave paintings nestling in rocky outcrops and dinosaur footprints carved into rocky outcrops. The whole landscape, with its muddle of purples, greens, blues and all other shades of rock imaginable makes you wonder if somehow you’ve stepped back into a land forgotten by time. Rather than take an organised tour, we decided to go it alone and make our way from Sucre, visiting Incamachay and Pumamachay (the cave paintings), hiking to the Maragua Crater (which would become my home the following week when I started volunteering in the library there) before finishing our trek via a set of dinosaur footprints on the path towards our endpoint, Potolo. Having commandeered a ride from one of the trekking companies that a friend of mine, Helen, volunteered for, we were dropped off at the religious site of the Virgen de Chataquila. I would recommend this as the best way of arriving at the beginning of the walk – although there are trufis which pass in this direction towards Potolo if you ask at the main trufi stand (Parada a Ravelo) in Sucre. Walking along the road in the direction of Potolo, we spent a good ten minutes in search of the path which is very difficult to locate. Search for the overgrown stone steps which head away from the road on its right hand side, after you’ve taken the first two sweeping bends (around to the right and then to the left). 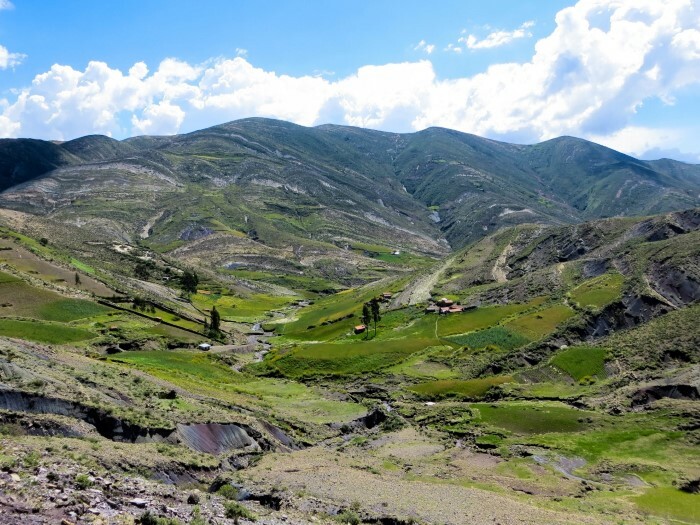 The ridge overlooks to the left the valley where lies Chaunaca, and to the right, the wooded area of Cajamarca and the only tarmacked road for a few hundred kilometres radius, which leads back to Sucre. Our initial views allowed us a vantage point across the mountainous landscape before us; few villages or houses have found their way here, mainly thanks to the extremities of the terrain. The stunning colours of the rocks combine with sparse vegetation and an almost complete lack of human settlement. You feel like you are miles from civilisation. From here, we were also able to view a destination further along our route: the crater of Maragua, which many of the locals believe is a relic of a meteorite crash. I think it was perhaps once a lake. The jury’s out. Either way, it’s quite beautiful. After an hour or so of walking along the ridge, we took a break; enjoying that moment of release as we dropped our heavy rucksacks to the ground and experienced a sudden feeling of lightness. 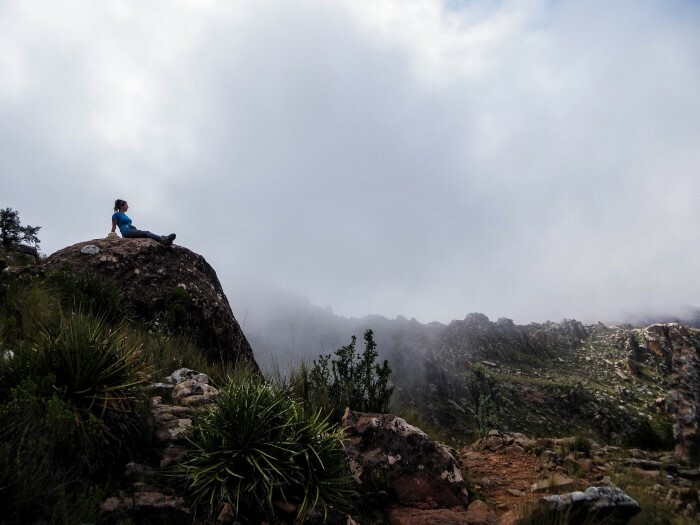 We admired the views, yet due to our high altitude, clouds rapidly began to descend and we realised it would be better to make a move before it became difficult to locate our path. After a few hours of following a well-marked path, we were surprised to eventually find the cave paintings at Incamachay; unlike most Bolivian tourist attractions, they were preceded by a number of signs and a clearly demarcated path. 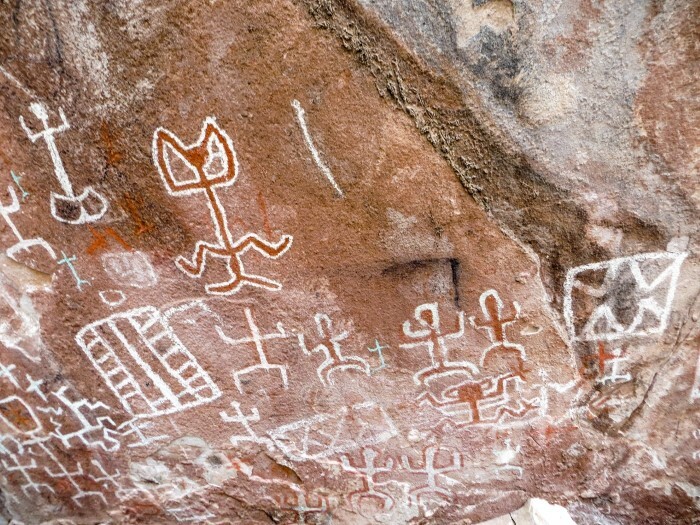 This led us directly to the main attraction: the overhanging rock painted with geometrical shapes and patterns in reds and whites, clearly representing animals and humans. I’ve never seen cave paintings before, and what was most incredible was how freshly painted they looked, despite having been created over 2,000 years previously. We later learned that back in the 80s, one of the locals had got drunk and painted some more on….mystery solved! We continued along the ridge, before finally succumbing to one of the standard joys of walking in Bolivia: the path disappeared. One moment you’re confidently striding along a well-worn route along the side of a river, the next you’re lost and confused; attempting to follow what turn out to be your own footprints. We had decided that the plan was to set up camp at some point beside the river at the bottom of the valley, and, for want of a path, the most direct route was finding any opportunity to just go down. We skidded, slid and generally stumbled down various rocky outcrops in our bid to descend a few hundred meters and reach the promised grass of the river valley. 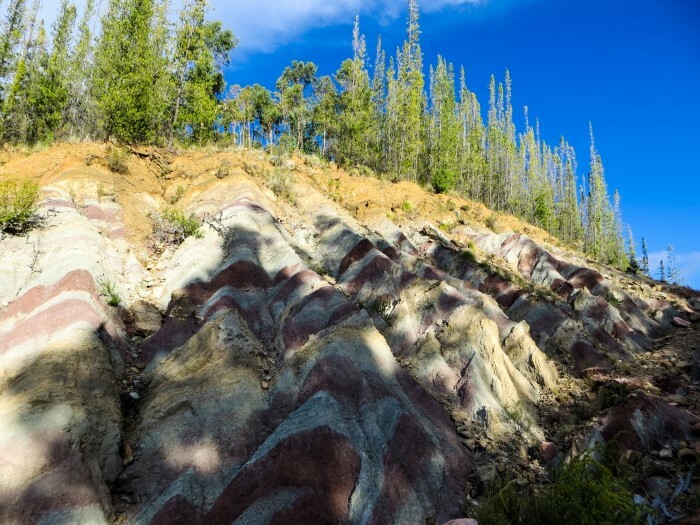 Luckily the landscape continued to make up for the fact each of us had scratched and bruised bottoms from the numerous times we had slipped over, as it showed off the beautiful shades of rock that characterise this region of Bolivia. After scrabbling downhill for over an hour, we finally made it to the river, and walked alongside searching for a flat area to camp, away from the numerous farm plots that litter the banks of the water. Finally, we found some grass a good distance from any habitation. Setting up camp, we discovered that putting up tents in the dark is somewhat tricky and it’s nigh on impossible to light a fire with damp wood – useful camping lessons learned! Recommendation: In hindsight, it’s probably best to return along the trail back to the start of the trek and from there hike down the Inca Trail and camp in the valley at the bottom. 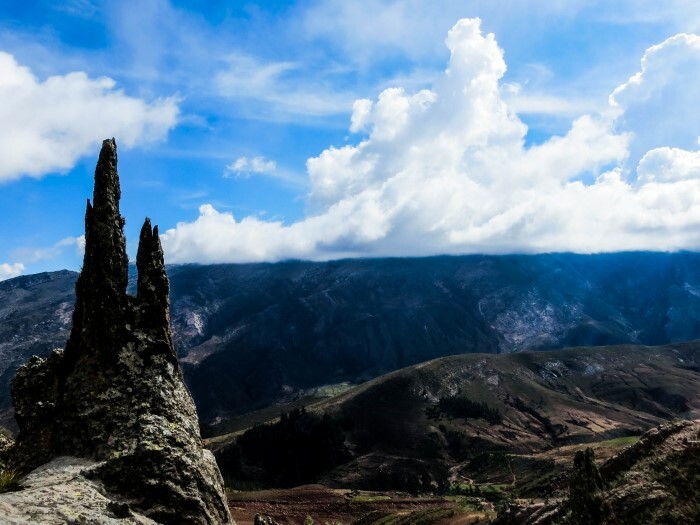 This means you get to see the cave paintings, trek the Inca Trail and not get lost! The next morning we followed the river to Chaunaca, climbing up the hill to the pass that takes you down into the next valley and towards Maragua. After following the dirt track down and winding through the valley for a few hours in the blistering heat of the Bolivian sun, we located a shady spot for lunch and quite admirably tried our hardest to eat as much as possible so that our rucksacks weighed a little less. From here, you have to cross the river and follow the path into the mountains ahead of you. A steep climb, you will eventually emerge onto the top of the hills and be able to walk gently down into Maragua. Upon arrival in Maragua, we made a beeline for the local shop and bought the essentials – beer – before climbing a nearby hill to locate a camping spot. 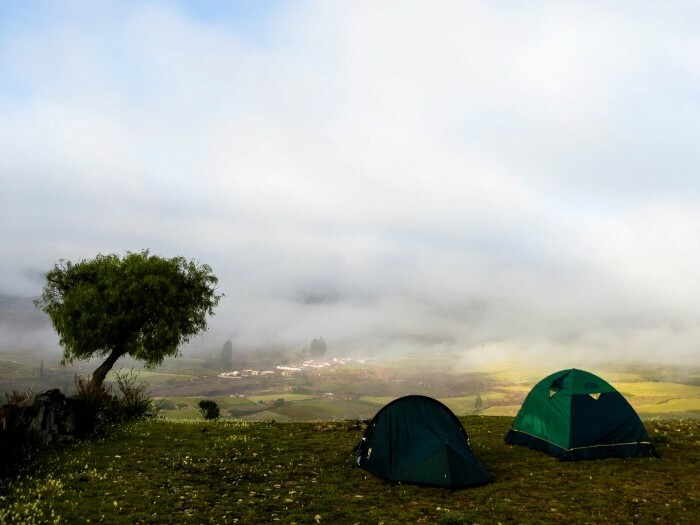 Having learned our lesson from the night before, we pitched tents in the light before enjoying the splendid views across the Maragua crater as the final rays of the sun faded behind the clouds atop the mountains. The ready supply of beer combined with a beautiful sunset compensated for how sore our shoulders were from carrying our camping gear for two days. 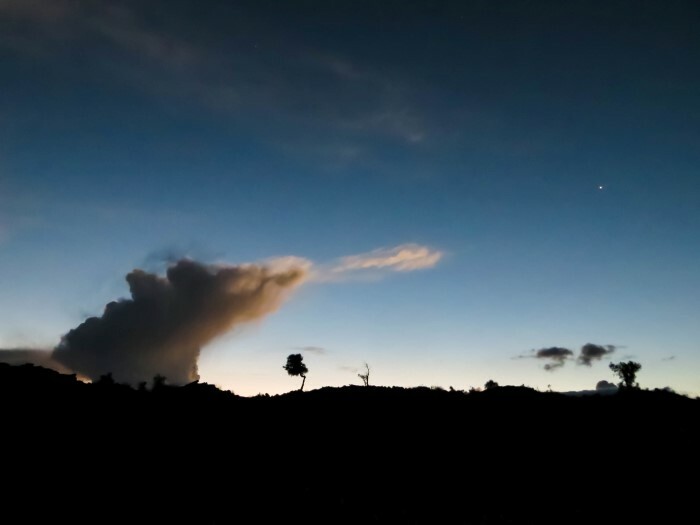 I woke early the next morning to enjoy the views of the cloud as it lifted slowly from the sleeping village down in the crater below. From the other side of our hill were views across the previous day’s path and various birds happy to pose in the morning sunshine. I have no idea what types of birds they are but they were incredibly compliant. Helen – acting as our guide for this part of the walk as she knew the area – took us to visit La Garganta del Diablo (The Devil’s Throat), a set of waterfalls near to the village of Maragua (follow the river downstream and you will eventually arrive there – just be warned, snakes have been seen around here!). After this we began the slow and painful climb out of the crater, taking the road towards Potolo and onto (what we hoped was) the road towards the dinosaur footprints. Still unable to find the path which would take us to the footprints, we instead continued towards Potolo, again stopping to admire the incredible scenery and valleys which we encountered at every turn in the route. Our final approach into Potolo reminded us of our good luck in that it hadn’t rained for the past three days; our final half an hour’s walking allowed us to put to good use our waterproofs and reassure us that it hadn’t been a waste of time carrying them all that way. Obviously, we were thankful. We arrived in the tiny village of Potolo at around 5pm, victorious and optimistic that there would be transport to take us back to Sucre. Locals assured us of the same, so we took a bench in the main square and waited. It rained. We waited longer. Amused Bolivians informed us that it was the Day of the Worker (Labour Day) so, ironically, no one was working. We had very little chance of finding anyone – apart from drunk truck drivers, it transpired – to drive us home. Giving in at 7pm, we located the tourist cabins conveniently two streets over (30 bolivianos per person) and set up for the night, beyond delighted that we would be sleeping in actual beds and might even get a hot meal. We woke the next morning from a successful night of sleep and admired the sun rising over the hills and the light it cast onto the nearby fields. We packed our rucksacks one final time and returned to the main plaza to await transportation. It surely couldn’t be a long wait…. Get yourself a map or at least some solid directions from locals in Sucre before you head out. A GPS system is also useful as paths are notoriously terrible and can disappear into thin air without you even realising it. The route to the dinosaur footprints is apparently a path off the main road to Potolo next to a small hut on the left-hand-side of the road which descends into a valley below – but I would check this, as we never managed to find it! 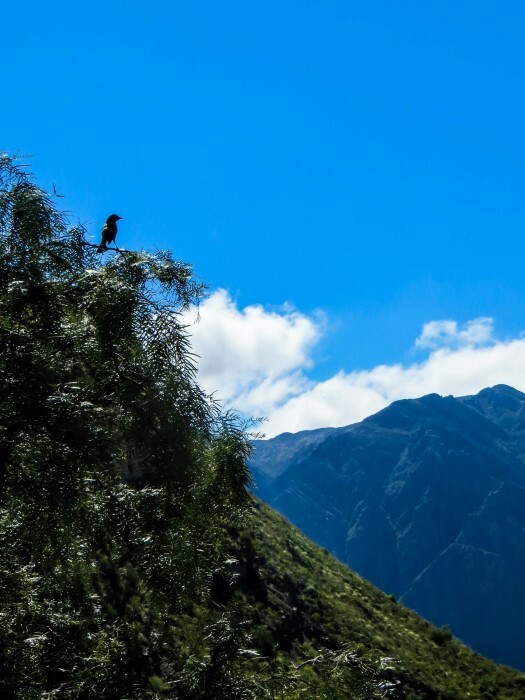 Check out my recommendations for free apps you can download on your phone to use for hiking in South America. Take full camping gear (including a stove) but you can buy food and water on the route, specifically in Chaunaca and Maragua. If you’re looking for a lightweight tent, I would strongly recommend reading my review of the Big Agnes HVUL2 tent or checking out the Terra Nova Zephyros 2 (the tent I’ve used for camping across South America). 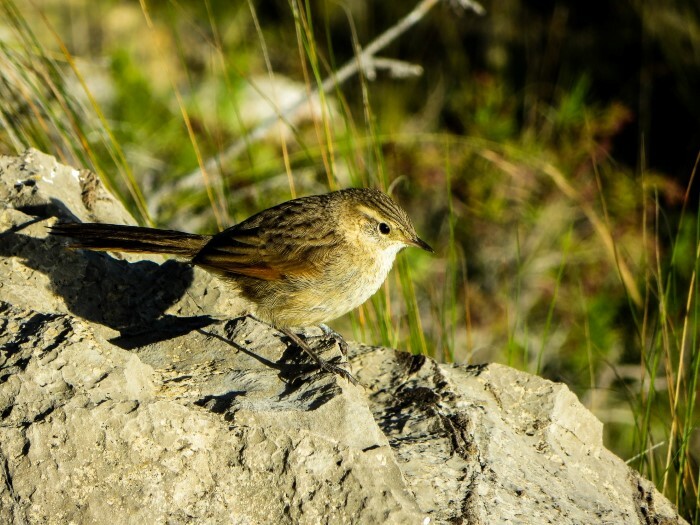 If you don’t feel like hiking to the Maragua Crater alone, Condor Trekkers are a highly recommended company who offer this route, amongst others. The agency also acts as a social enterprise supporting local communities through sustainable development projects, and they have a delicious vegetarian restaurant, Condor Cafe, on Calle Calvo in Sucre. 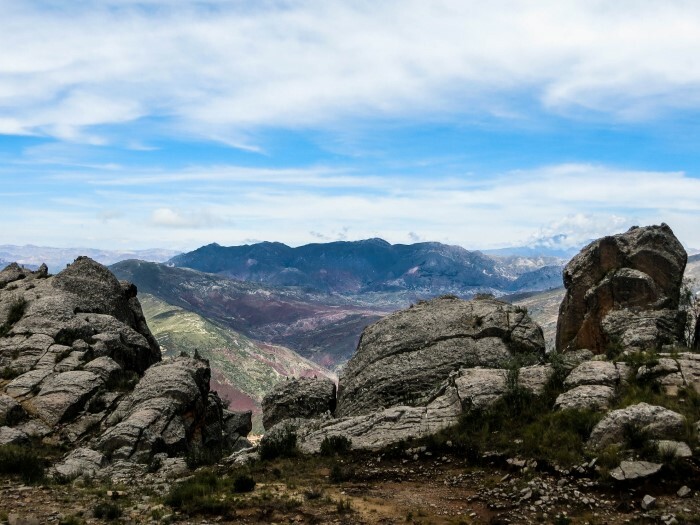 Read my recommendations for travelling adventurously but still safely in South America to make sure you don’t take any risks when you’re backpacking in Bolivia. 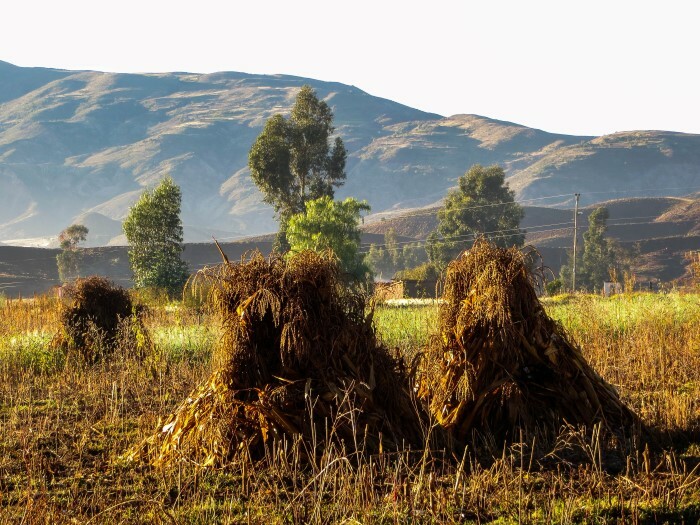 Want to read about other adventurous trekking routes in Bolivia? Check out my South American Walking Routes for further inspiration. Found this guide useful? PIN ME! Next Post: The Big Question: Should You Pay to Volunteer?